I wasn’t expecting anything. I have been a good girl and haven’t done (much) online shopping. When I looked at the package I saw that it was from my mom. Hmmmm. What would she be sending. Then it hit me! 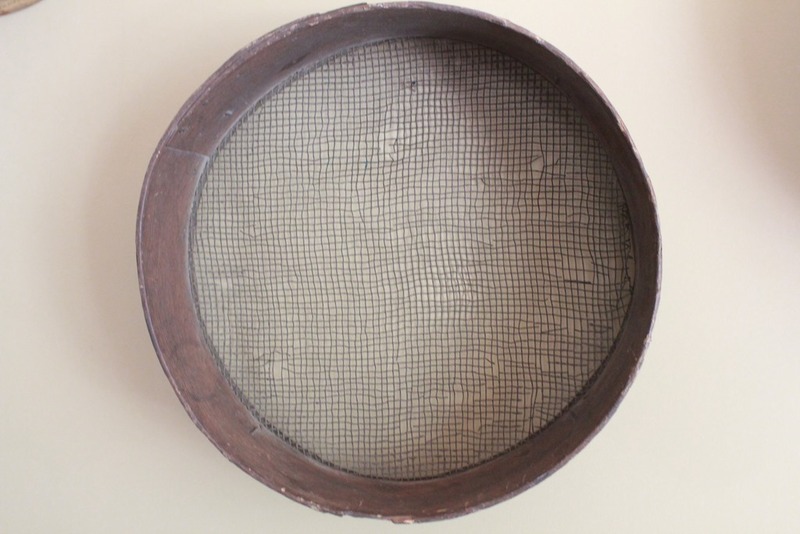 She finally send that antique sifter I found at an antique mall in Maine over the summer. Yippee! I could complete my dining room wall décor! 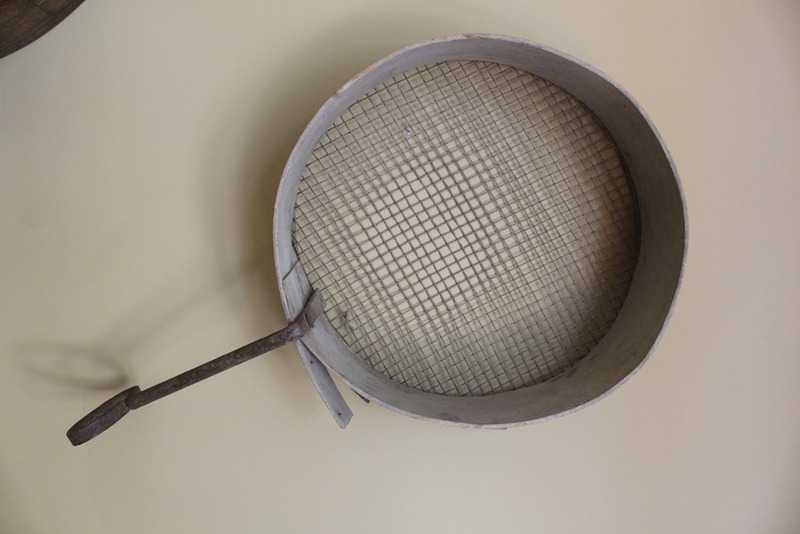 We always had an antique grain sifter hanging on the wall in the kitchen when I was growing up. Occasionally it was embellished with silk flowers or some other ornament, but when I got a home of my own my parents gave it to me. They weren’t hanging it up anymore. 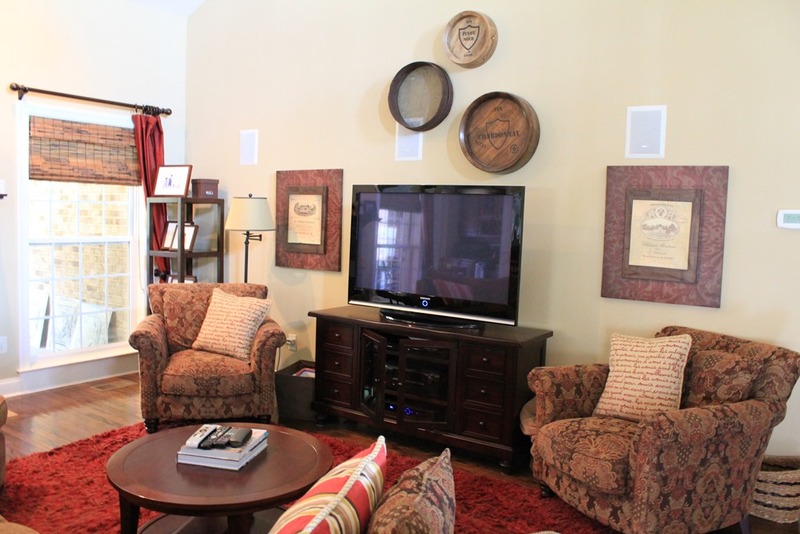 At my old house it made its home among some antique replica wine barrels from Ballard Designs that hung above my TV. I only had 2 of the barrels. There was a third one that was very large and very expensive. 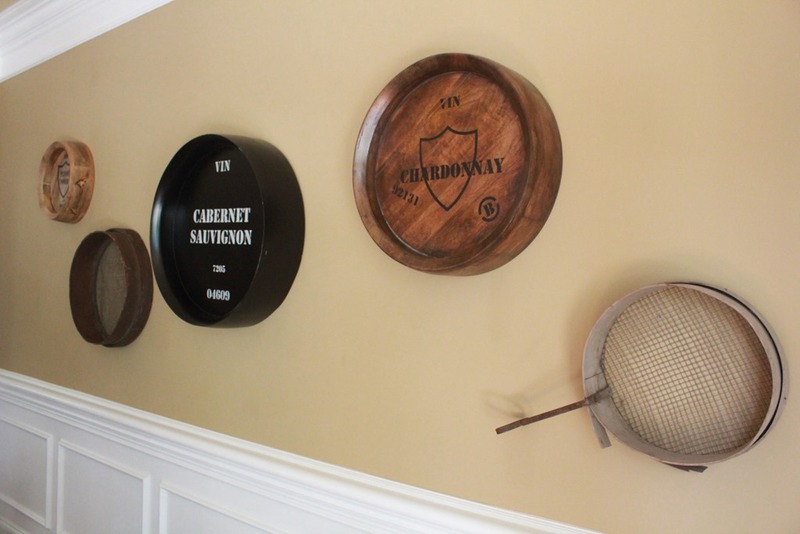 Then, while on my design inspiration trip to Atlanta, I found the largest barrel on sale at the Ballard Designs outlet and just had to complete the trio! 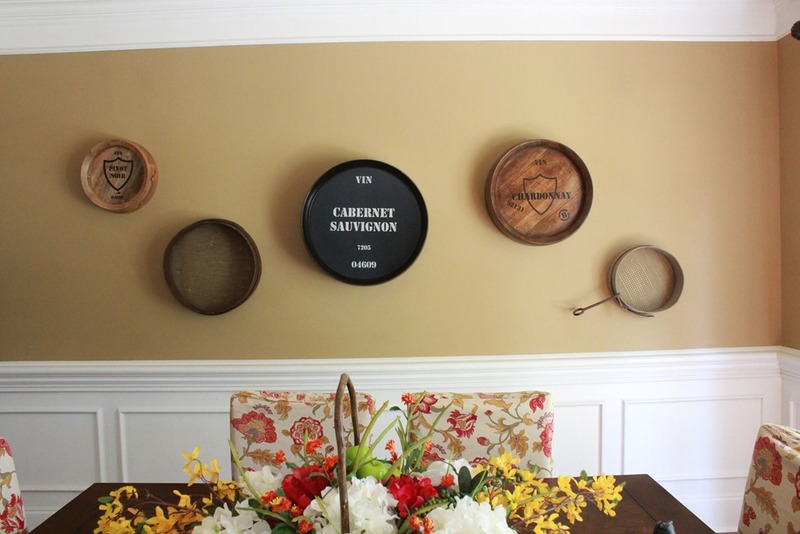 So, when I moved, I decided that the dining room would be the perfect place to decorate with these circular objects. But something was missing. I just couldn’t get them to look right. It was just off. So these circles of decoration sat on my dining room floor – for 4 months!!! Off we went on our yearly trip to Maine. When we are up there one of my favorite things to do I to go antiquing with my mom. We take the coastal route and hit some beautiful shops along the ocean. My favorite is the Searsport Antique Mall. I always find more than one good thing there! And just as we got to the last booth, I saw it. 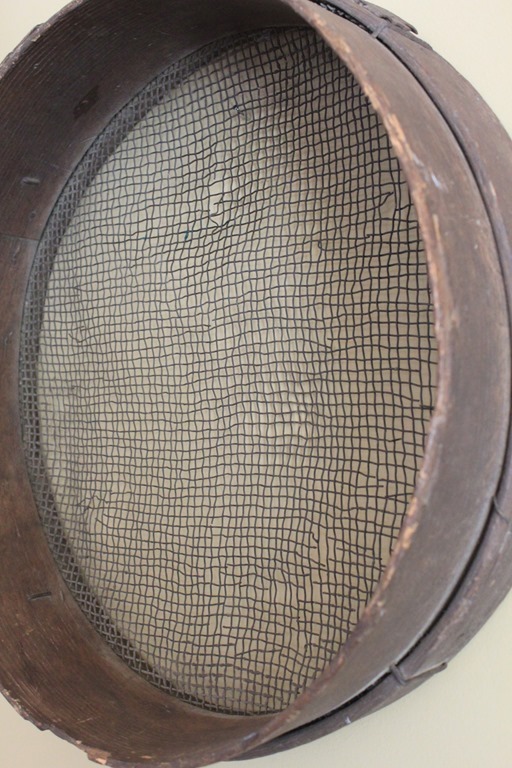 A smaller sifter that would complete my dining room wall!!! Oh, it was perfect! But it wouldn’t fit in my luggage and it was too fragile to shove in the overhead compartment on the plane. So I had to wait for it to arrive. And now it’s here! I hung it up immediately! 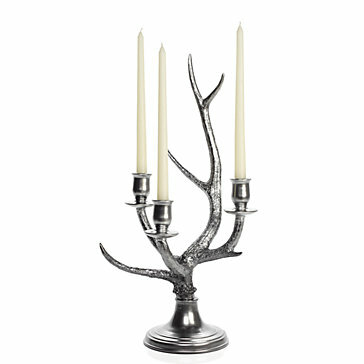 Whether they are faux or real, antlers are popping up in beautiful home décor. Some are painted, some are resin, some are still attached to a head! All of them make a design statement. I am loving it! 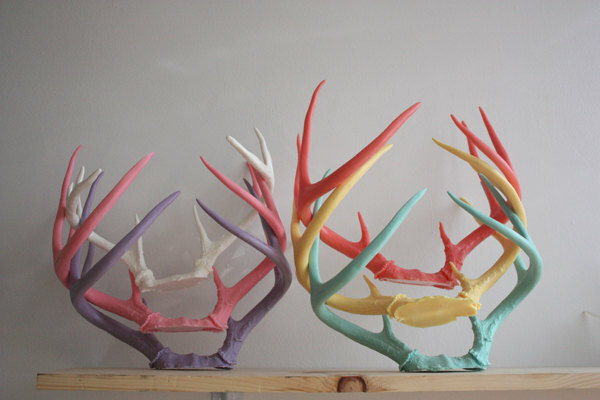 I grew up in a home where antlers came easy every winter but were often disposed of. Now I find myself asking my dad to keep them for me! 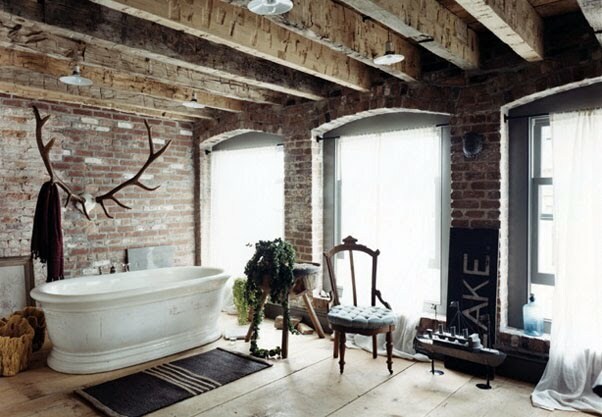 Check out these beautiful and luxurious rooms with antlers. 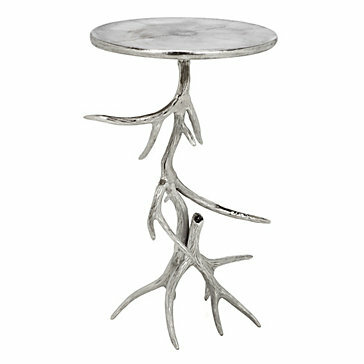 They add a natural vibe and a very traditional feeling, even in some untraditional finishes. I can’t wait to add more antlers to my décor after the Christmas decorations come down. What a wonderful way to fill the space and keep it cozy and wintery for the rest of the season.